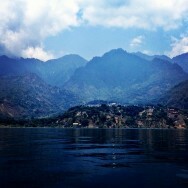 Why, hello, Lago de Atitlan. Talk about a view. © 2012 nandocho. All rights reserved.